Picking up were we left on off on a series of blog posts that follow the CCNA Data Center Study Guide from Todd Lammle. Feel free to post questions below. 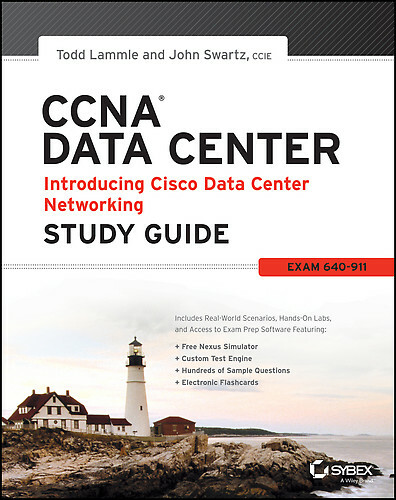 In these post I am only going over the topics of each chapter of the book, plus any examples the book offers and to get an idea of what the Cisco exam would cover. In chapter two we discussed about internetworking and in chapter three we will learn about Ethernet technologies. Overview: Chapter 3 goes over what chapter 2 started we get more information on collision domains, broadcast domains, and introductions into CSMA/CD and the familiarity link between half and full-duplex ethernet. We also looked at the sections of a MAC address and what the IEEE is involved with assignment of these address when giving them to manufactures. We learned about how to convert binary to hexadecimal as well as vice versa. We also looked at the Data link layer and the fields associated with it. (Which part of the OSI model is that?) Chapter 2 hinted on the cabling standards but we now have a list full of them starting from coaxial cable to single-mode fiber cable. (Which goes further?) We also learned which type of cable connects to what and how they are terminated. (Like devices use a crossover cable and not a straight-through cable) We finally talked about Data encapsulation and had some good examples at the end of the chapter of how a computer sends information on the network and it looks like more information is in Chapter 9 🙂 . My thoughts: I would read this chapter even if you went through it before there is a lot of information that needs refreshed (at least for me) if you are going to take the exam. Go over the review questions and over the written labs for converting from decimal to binary and from binary to hexadecimal.